Highly regarded West Coast Eagles development coach Luke Dwyer will steer the club’s elite women’s team into its pioneering campaign. The West Coast Eagles are busy preparing for their entry into the AFLW competition in 2020 and Dwyer, part of the coaching structure behind the senior team’s AFL success this year, has been appointed senior coach. 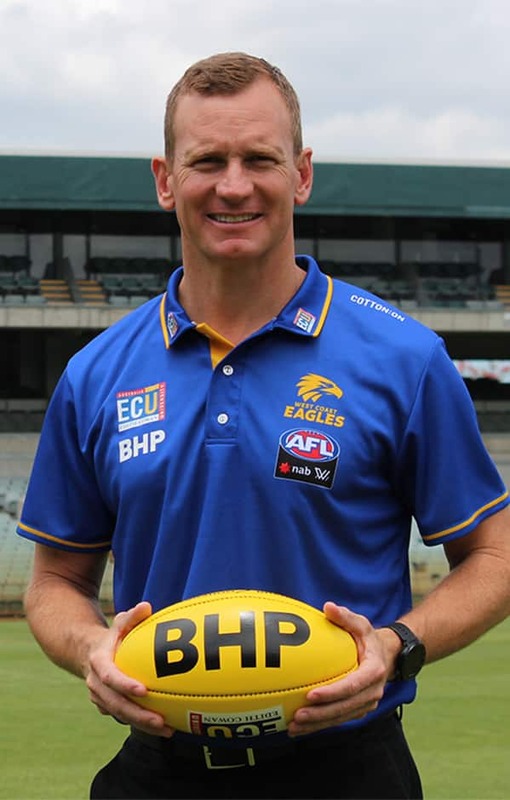 An accomplished WAFL midfielder, who played 146 senior games with East Perth (41) and Claremont (105) he has been on a coaching journey since closing out his senior playing career in 2007. A qualified teacher, who was working at Christ Church Grammar before being secured a couple of years ago as a development coach, Dwyer also coached A-Grade amateur club University to four premierships in five seasons. He has been working with the West Coast Eagles Female Academy in recent weeks and is excited to be a part of what is likely to be a ground-breaking campaign. “It is exciting to be involved in a project of this nature from its infancy,” Dwyer said. “Obviously we have had a number of people in place, laying the foundations for our entry into the AFLW competition. “Just as importantly, they have identified some outstanding young talent and have been nurturing their development over the last 12-18 months. Jan Cooper, a driving force and icon of women’s football, who is female player development and pathways manager, said Dwyer had shown in a relatively short period with the academy squads, an aptitude and rapport with the players. “His enthusiasm for the role has certainly been evident from the outset,” Cooper said. “He’s got great energy and drive and has quickly developed relationships with the players.